Are you ready let your imagination soar? If so, let's take Garden Impressions to the next level. Create new looks by using different card making techniques such as die cutting and two step stamping. The beautifully detailed dies from this suite add a romantic feel to the cards. Cut out individual flowers or sections from the die cuts for a unique approach. The stamp set has several sets of flowers that are created using two step stamping (and even three!). These can be stamped in one colour by "stamping off" for different tones of the same colour or use complementary colours on each stamp. All card bases were made from So Saffron, Soft Sea Foam and Whisper White 12" x 12" card stock. They were cut using US card sizes to avoid wastage. 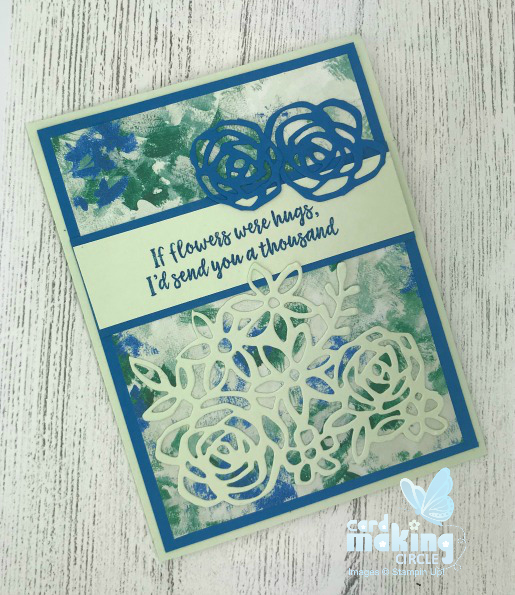 Die cut flower die twice - once in Soft Sea Foam card and again in Pacific Point card. Trim die cuts. Stamp sentiment with Pacific Point ink onto Soft Sea Foam card. Layer with Pacific Point card. Mount with dimensional foam pads. Decorate inside of card with the remaining strip of Dsp. 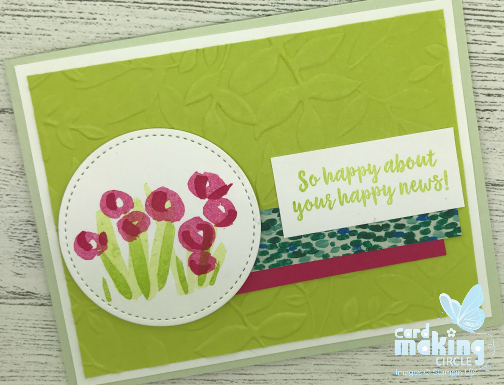 Stamp sentiment with Mango Melody ink onto Very Vanilla card. Cut with Tailored Tag punch. Cut Mango Melody card with Tailored Tag punch. Cut in half and stick to back of sentiment. Mount sentiment with dimensional foam pads. Stamp flowers using three step stamping. Start with the lightest colour. Stamp leaves using two step stamping. Die cut butterfly from Dsp. Stick to card with glue dots. Stamp sentiment on Whisper White card. Layer with Lemon Lime Twist card. Mount with dimensional foam pads. Decorate the inside of the card with a stamped flower. Lemon Lime Twist for layer two. Stamp sentiment with Lemon Lime Twist ink onto Whisper White card. Layer with Dsp and a strip of Melon Mambo card. Glue strips and sentiment to embossed layer. Mount die cut flower circle with dimensional foam pads.